Have you seen them yet?? 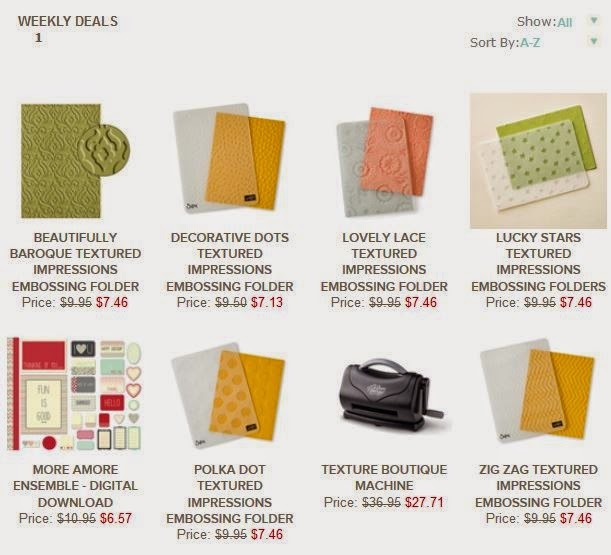 Embossing folders abound in this week's deals! 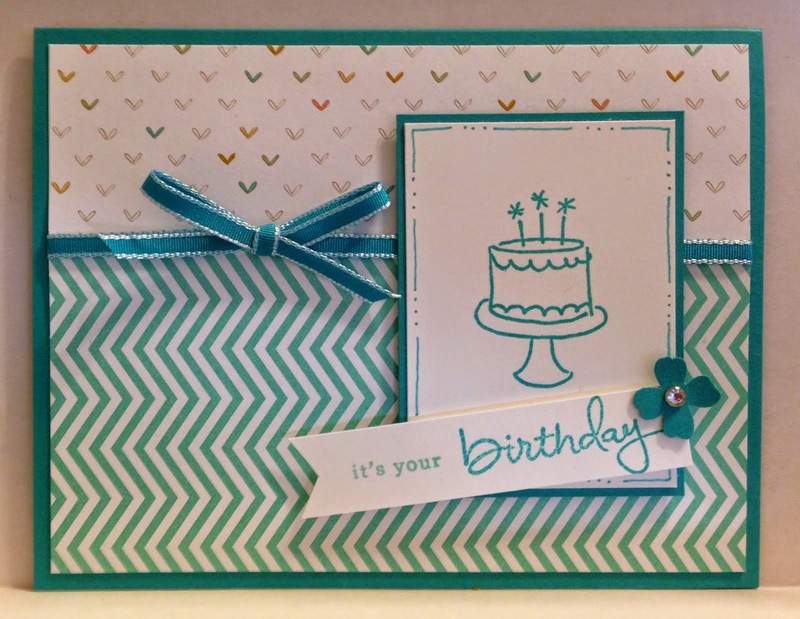 They're the perfect way to add an extra touch to all your cards without adding too many layers. The Decorative Dots is my FAVOURITE! Today is the FIRST day of Leadership, so be sure to check back later as I'm sure I'll have some FUN things to share with you! Have you seen this set? 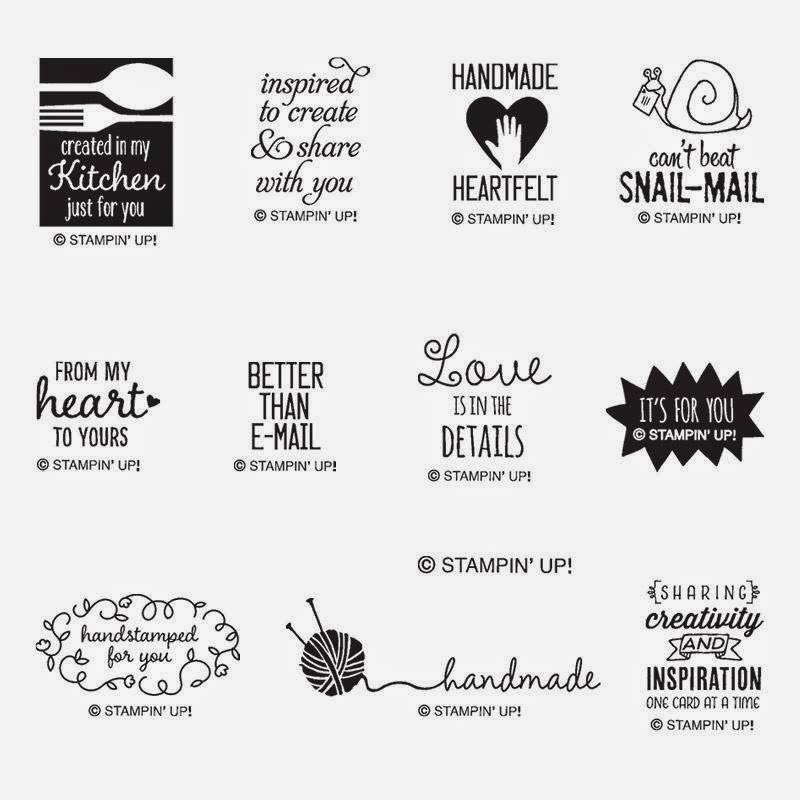 It's so cute and versatile - stamps for almost every occasion paired with cute little birds. What could be better? For today's card, I started off with a Coastal Cabana base and added a layer of Whisper White. A little pop of Designer Series Paper from the In Colour paper stack breaks of the starkness of the white background, adding just the right amount of colour. 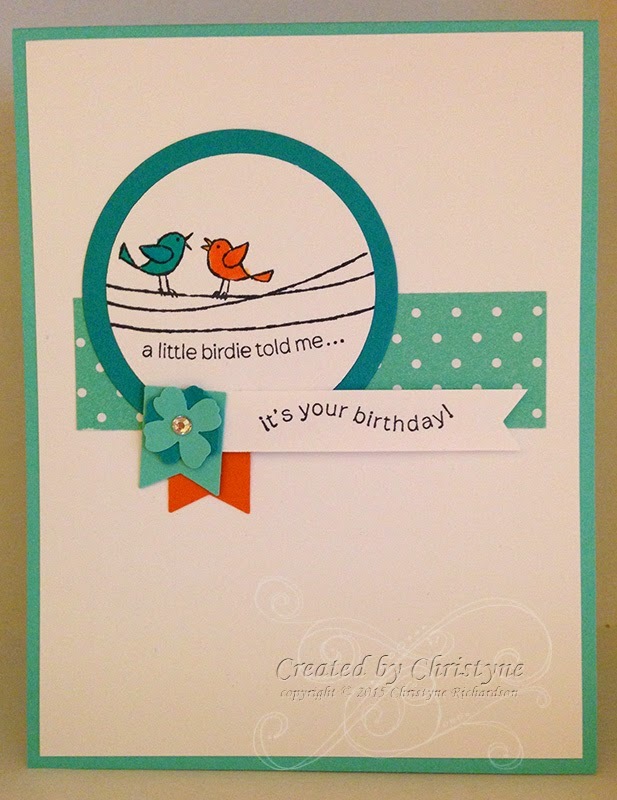 The image was stamped in Memento Ink and the cute little birds were coloured in with Blendabilities (which you can get FREE during Sale-A-Bration) and punched out using the 2" circle punch. It was then matted on a circle of Bermuda Bay cut out with the Circle Framelits. A little flag with the sentiments and a couple of little banners and flowers finish off this card perfectly! Check out the rest of the crew here. I couldn't believe my luck when I saw this stamp set in the Occasions Catalogue! It's perfect for...well...EVERYTHING!! The stamp is called "Crazy About You" and it's available in a bundle (which includes 4 framelits) for as little as $52.50 (photopolymer). Add a pack of cardstock for $8.50 or even a pack of Notecards for $7.50 and you've just spent enough to earn a free Sale-A-Bration item! YAY! I started off with a base of Basic Grey Cardstock and added some Designer Series Paper from the Flowerpot and Confetti Celebrations collections. Some Pear Pizzazz Cotton Ribbon was added to separate the two pieces. 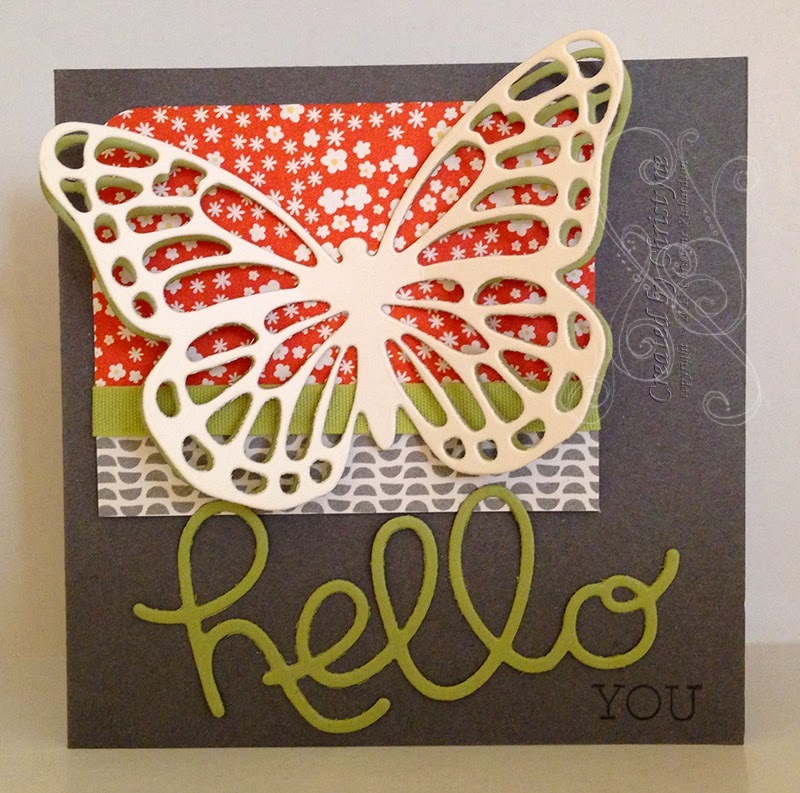 I stamped the "YOU" in Basic Grey and cut out the "hello" and butterfly in Pear Pizzazz. The butterfly seemed to get "lost" on the Tangerine Tango flowers, so I cut out a second one in Shimmery White Cardstock to make it pop! Don't forget to check out what the rest of the divas have been up to here. What's your "go-to" stamp set? You know, the one you choose time and again and you just KNOW that whatever you stamp, it'll be AWESOME. Do you have just one? Or do you have several that are your favourites? I have several favourites (Gorgeous Grunge comes to mind), but I know that if I want to make a "man card", Lovely as a Tree is the set I'm going to choose. For this card, I started off with a base of Early Espresso Cardstock and added a layer of Very Vanilla cardstock, partially covered with the Typeset Specialty Designer Series Paper. All the layers were sponged with Soft Suede Ink. The image was stamped using markers for the direct to rubber technique and was spritzed with water to give it a water colour effect. I had to add some ribbon! I know most men don't like that "girly frou-frou stuff" but I figured a knot (not a bow!) wouldn't be TOO offensive - LOL! Today is my little man's birthday - he's turning TWELVE!! I think I'll make him a more age appropriate card though...this one seems too grown up. I started off with a base of Pink Pirouette for all the cards and layers of Rose Red cardstock and Hello Honey DSP from the Lullaby Designer Series Paper. I stamped the images from Label Love twice, once in Smokey Slate and a second time in Rose Red. These were punched out and layered. Then, I used the Artisan Label punch again and punched out layers in Rose Red, Hello Honey and Pink Pirouette for the back of the images. I'll be swapping the card on the far left at Leadership in Orlando, Florida. 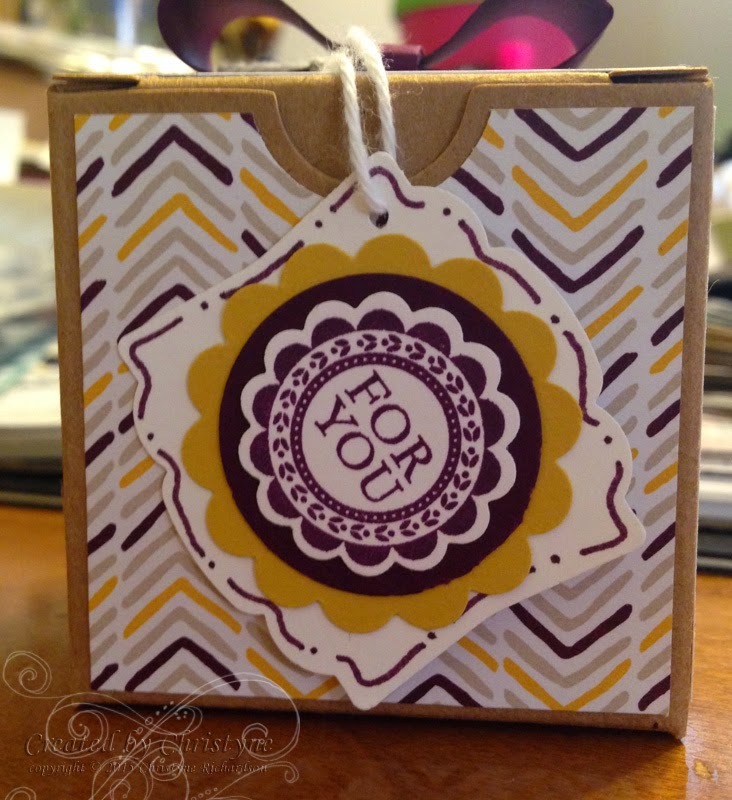 Build a Bouquet Project Kit by Stampin’ Up! Brand new in the Occasions Catalogue! Super fun! Have you seen it yet? It's one of the CUTEST. SETS. EVER!!! Can you believe it? I can't wait to start stamping the backs of my cards with these! Let me know if you want your own set! I have an order going in next Monday. The cutest little box - EVER! 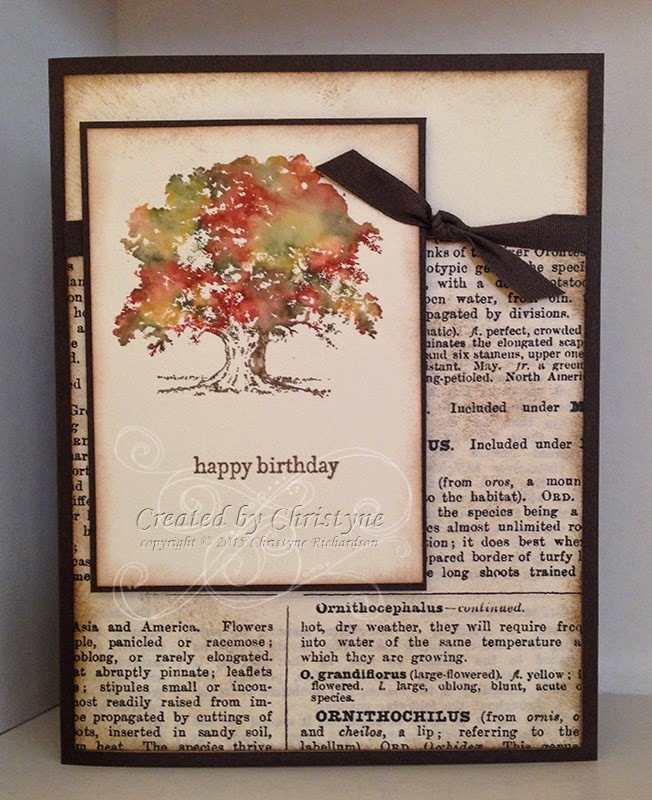 Have you seen the little 2 x 2 boxes that are available in the Occasions Catalogue? They were in the Holiday Catalogue too and I'm SO pleased they carried over. I just love them! This box is SUPER tiny, so you'd have to have a tiny present to add to it - a pair of earrings perhaps? Or some really cute EOS lip balm? We started off with the teeny box (of course) and added some Moonlight DSP on all four sides and to the top as well. Not quite Carpe Diem, but close! LOL! I just love this little stamp set! It's what I call and "inside/outside" stamp set - it has a sentiment for the front of the card and a coordinating one for the inside too. In this case, however, I used both on the outside and it worked out GREAT!! I started off with a base of Island Indigo cardstock and added a layer of Soft Sky. 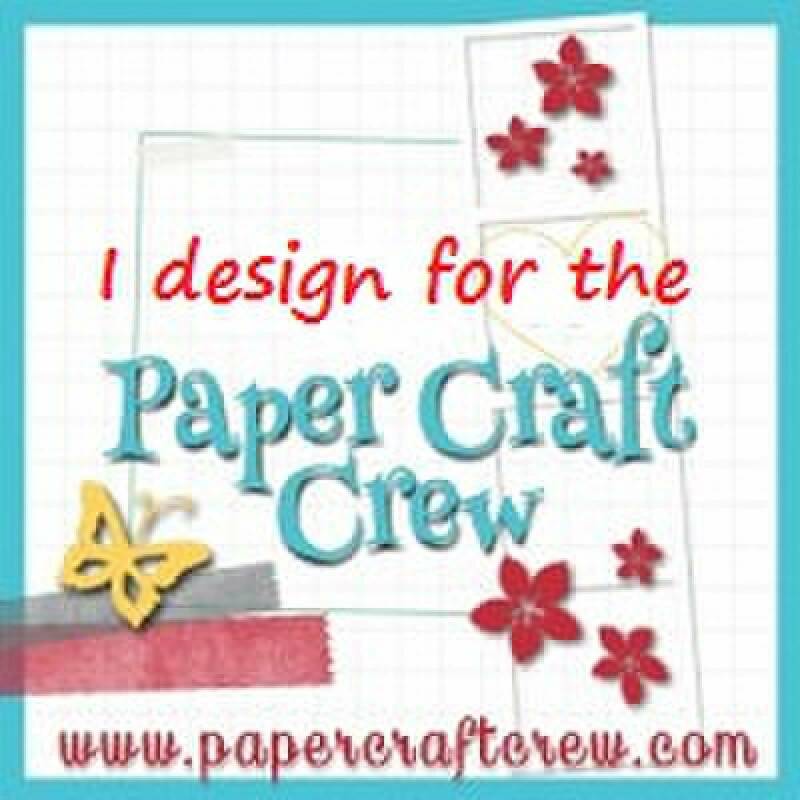 I left the Soft Sky plain, but you could use a background stamp of your choice and go to town! 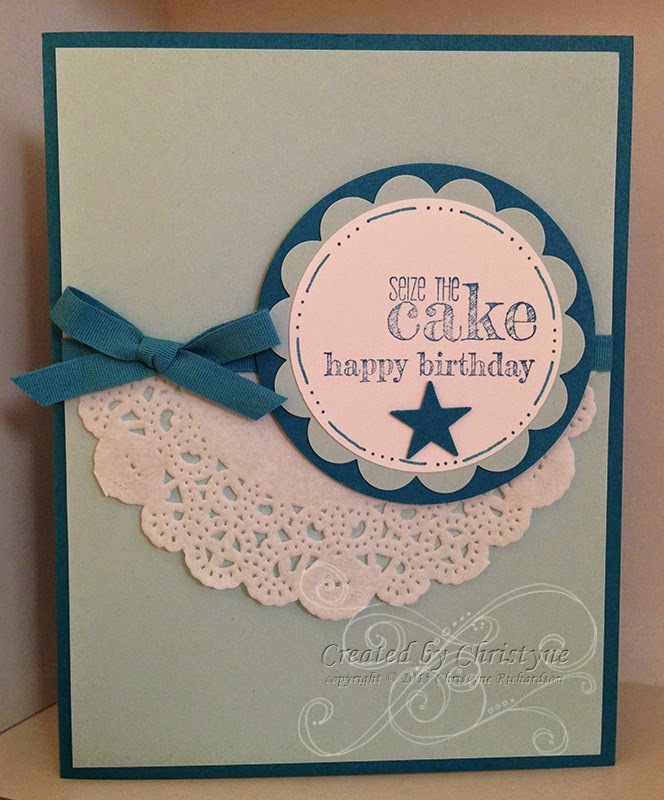 This particular card was part of a TWELVE project class, so keeping things simple was of the essence! I cut one of our adorable paper doilies in half and added an Island Indigo Ribbon over the top to hide the cut. The I punched out some shapes, used the stamp-a-majig and created the image panel. The placement of the sentiments left just the right amount of space for a star (you could use a heart or a flower too) - PERFECT! A little bit of doodling and DONE! Oops! Just like the card I posted last week, this one was also supposed to be for the Paper Crafts Crew...there never seems to be enough hours in the day to get it all done!! I started off with a base of Bermuda Bay Cardstock and added a layer of Lullaby Designner Series Paper and a half layer of Coastal Cabana DSP from the 2013-2015 In Colour stack. A ribbon was tied around the layers. 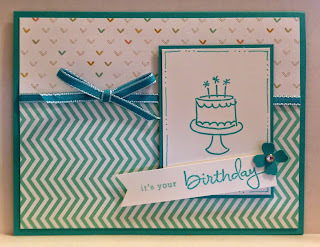 The image and sentiment, both from Endless Wishes Birthday were stamped in Bermuda Bay Ink onto Whisper White Cardstock. The image was matted with more Bermuda Bay and the sentiment was attached with a Stampin' Dimensional. The finishin touch is a bedazzled mini flower. Many years ago, the very talented Ali Edwards decided that she wasn't going to "do" the traditional New Year's Resolution. Instead, she chose a word. One single word, by which to live for the coming year. This year, Ali's word is GIVE. I haven't done it every year, but this year, as I was getting ready to go out with my family on New Year's Day, somehow...something was different. The house was still asleep (I like my quiet time in the morning) and one word just wouldn't get the heck out of my head. The word? THANKFUL. I figured it was there for a reason and so I made it *my* word for 2015. If you like it, you can share it too and I would be THANKFUL that I helped you in your journey. So, this year...it's going to be a little different here on the blog. You'll see cards of course, because I love making them...but you'll see other stuff too. Sometimes it'll just be my musings for the day or some knitting that I'm working on. Sometimes it might be a video that I found or something that touched me in some way. I hope you'll join me on my year long THANKFUL journey. OOPS! This card was supposed to be for the Paper Crafts Crew sketch this past Wednesday, but I got so caught up in the festivities of the New Year that I completely forgot to get it out there! I started off with a Soft Sky base and added a layer of Whisper White Cardstock between it and the Designer Series Paper. What the heck is that?? This *particular* paper comes to you courtesy of the Occasions Catalogue which you may have already received in the mail! Awesome, right? It's double sided, just like much of our regular DSP and it's FREE! Just carefully remove the outer wrap of your Occasions Catalogue and VOILA! Free DSP! If you don't have an Occasions Catalogue yet, be sure to leave me a message so that I can pop one in the mail for you (Canadian addresses only). For the image and sentiment, I hand cut the champagne flutes and added them to a piece of Whisper White Cardstock onto which I added a piece of Island Indigo which was cut with the On Film Framelits. I thought the addition of the little star in Crushed Curry was just the perfect touch behind the sentiment. It's a brand new year! Come get your stamp on! !